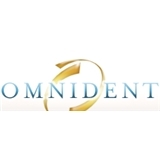 Omnident Newyork, NY (White Plains) - Book Appointment Online! Our practice offers more than 50 cumulative years’ experience in general and cosmetic dentistry. Using a gentle and conservative approach, we offer cutting-edge comprehensive care as well as cosmetic dentistry including veneers, whitening and Invisalign straightening.We pride ourselves on being at the forefront of new dental technology — from practice management to patient education and care.Our fully-computerized operation boasts the latest in dental office systems, with efficient virtual charting and safer, faster, digital x-rays.In addition, we use micro air abrasion, intraoral cameras, diagnodent caries detector, and diode lasers. Ever focused on preventative health, we also offer ViziLite oral cancer screenings and oral brush biopsies Oral CDX .In our cosmetic dentistry practice, we use computerized shadematching and digital photography to achieve a natural looking, vibrant smile. This was the most professional dental appointment I have ever had. The Dr was excellent. I was a new patient and made an appointment for a dental cleaning. The front desk was very welcoming and courteous. After a very short wait, the technician took x-rays of my teeth. The hygienist who cleaned my teeth was very detail oriented. She also taught me how to properly floss. After that I met Dr. Biderman who gave me a dental consultation. Dr. Biderman focused on prevention, care, and overall dental health. He examined my teeth and jaw, and he explained his concerns through my x-ray scans. He was very knowledgeable and compassionate. I'm so happy he is my new dentist! No one enjoys a trip to the dentist but any visit here is delightful. An amazing bedside manner plus you are in and out very quickly. See ya in 6 months!